I've made a GoodReads list of all the books that I currently own, but I'm not particularly attached to. Click here to see the list. Either I read them and didn't like them, or I'll never get around to reading them. Look around, see if there's anything you like and maybe you'll have something I like. :) Send me a GoodReads message or e-mail me (Squeakybooks@yahoo.com ) if you're interested. But I'm in no hurry to get rid of 'em. They're all new or like-new, and some have remainder marks. I've put the exact edition I own on the GR list. Feel free to ask me any questions. Oh, and I don't have a specific "wish list." I'm just hoping that y'all might have some books you'd be willing to trade, too. I actually prefer an Amazon giftcard (that way only one of us has to ship and it's just less of a hassle) so if that's an option for you the books will probably be somewhere from $3-$8. I'm surprised that you didn't like A CURSE DARK AS GOLD. Or is it one you didn't read? It's a fairy tale retelling with supernatural elements, and her writing was beautiful. Was it too slow? No wish list. 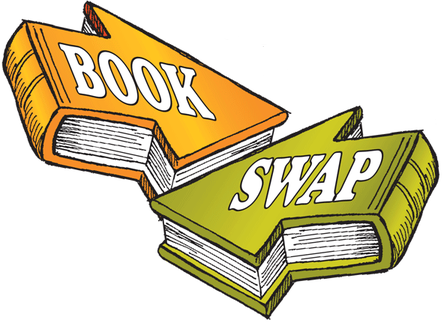 Just let me know which books you have that you'd be willing to swap, or I take Amazon GCs as well. Myrna, I started it YEARS ago and remember thinking it was really slow. I am hesitant to part with it... but I'm not sure I'll ever pick it up again.